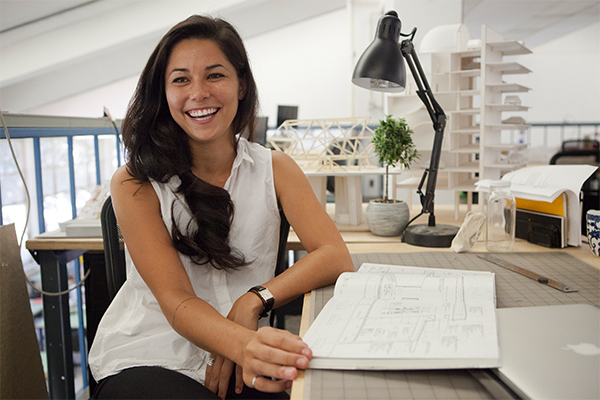 UCLA Architecture and Urban Design is a leading player on the international stage of contemporary architecture. Working with world-class faculty from established Pritzker Prize winners to the upstarts of tomorrow, our students integrate the most creative approaches to design, advanced developments in technology, and rigorous approaches to architectural thought available today. Click here to download our graduate catalogue. RUMBLE provides A.UD students with a platform to exhibit their final Spring Studio projects, utilizing every square inch of Perloff Hall, and now the IDEAS campus. For two days in June we celebrate a year's worth of hard work. Day one begins with a kick-off symposium followed by an exhibition opening extravaganza. Day two includes studio reviews, student awards ceremony, and closing party. 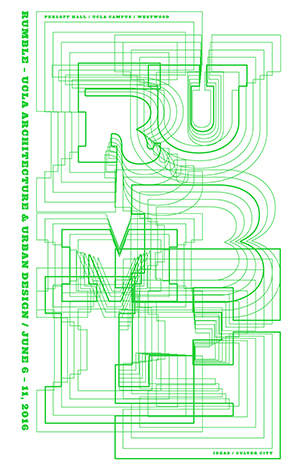 With over 30,000 square feet of studio and program installations, 260 projects on view and 90 leading critics and practitioners in attendance, RUMBLE is our signature event and redefines the provocative opportunities confronting the next generation of architects.